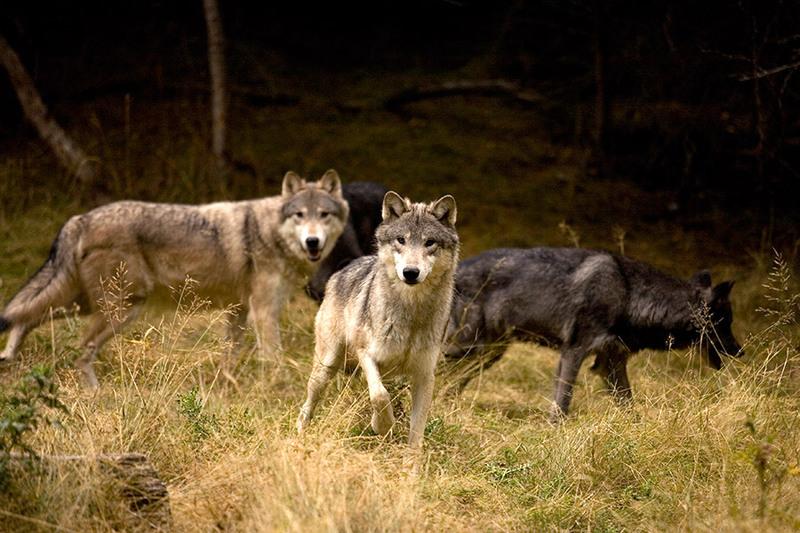 The gray wolf (Canis lupus), also known as the timber wolf, prefers the open tundra and forests of British Columbia. Distribution ranges through Alaska, Canada, and parts of the US. 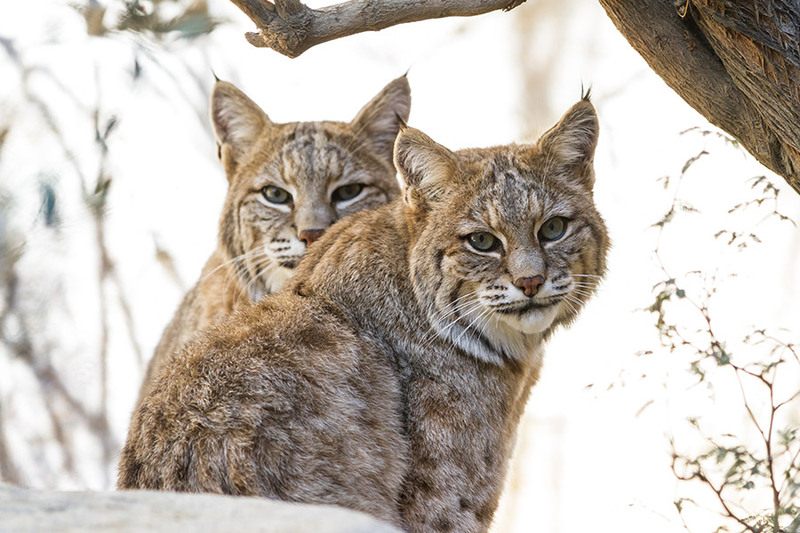 Bobcats generally have tawny coats that vary with the seasons. 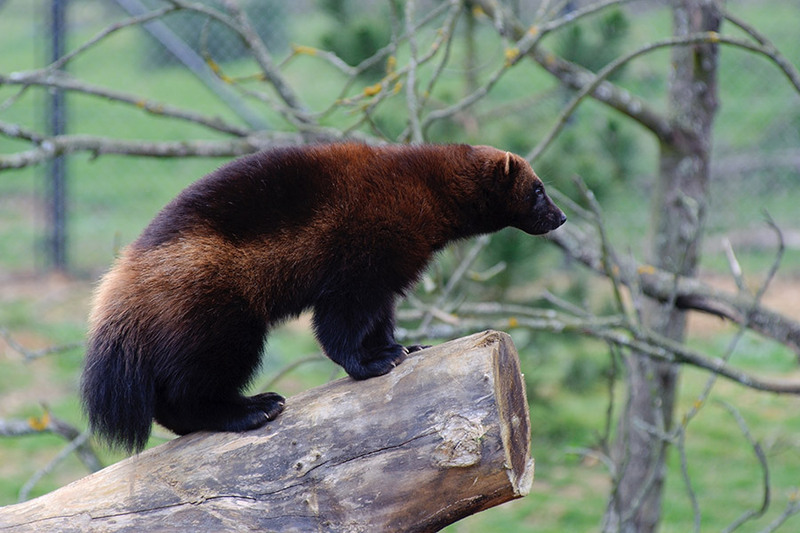 Their winter coat is usually a dull gray with faint patterns, while their summer coat often has a reddish tinge. Lynx are a medium-sized cat with long legs, huge paws and protruding ears tipped with black hairs. 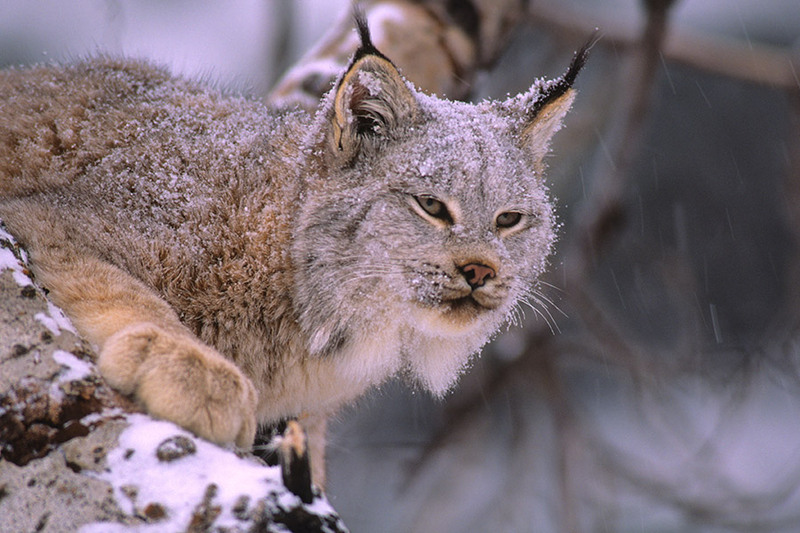 The long silvery-gray fur of the Canada lynx bears faint darker stripes on the sides and chest. 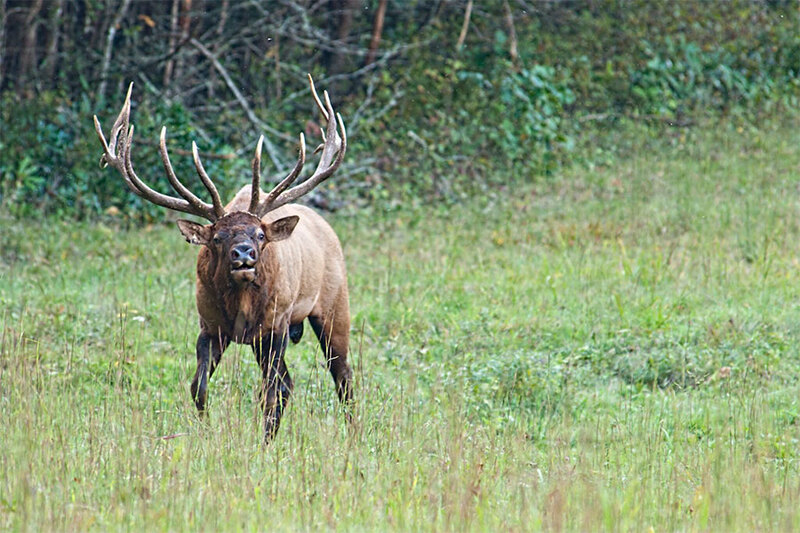 Roosevelt elk (Cervus canadensis roosevelti) can be found on Vancouver Island. 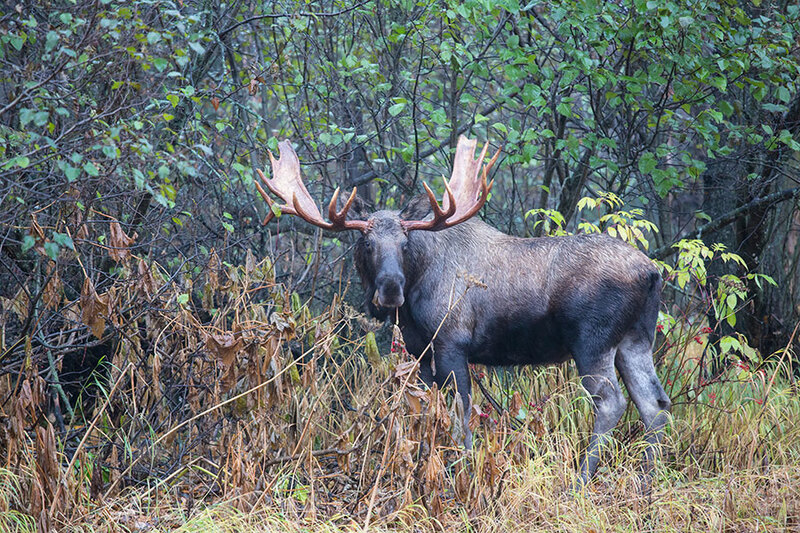 Roosevelt elk are larger with larger and more rugged antlers than other members of the species. 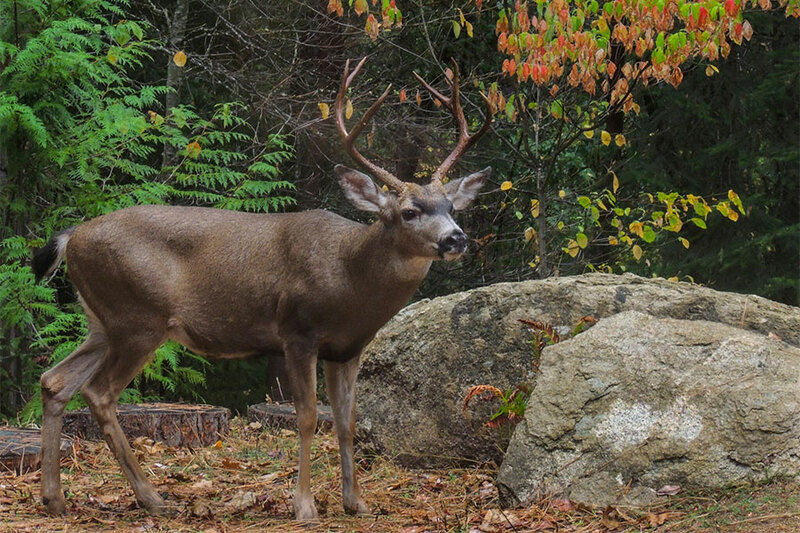 Black-tailed deer are smaller subspecies of mule deer. Their coat is slightly darker in color. They have a small rump patch and a tail that is mostly brown or black. Black bears are not always black. Color phase black bears can be cinnamon, brown and blonde. 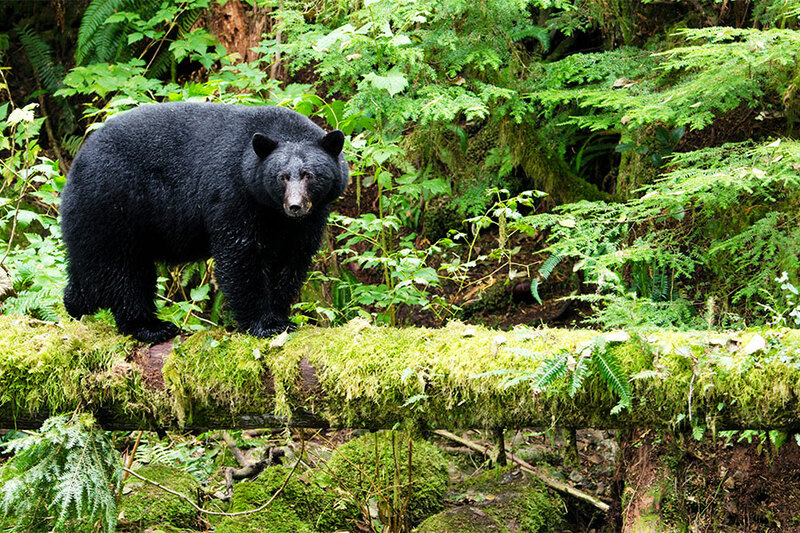 A black bear’s coat is long and shaggy. 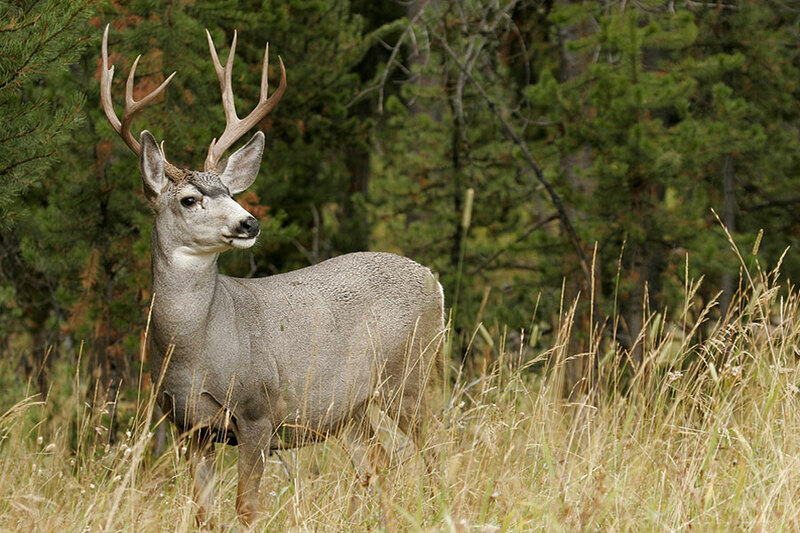 Mule deer have large ears with distinct black borders and white hair inside. 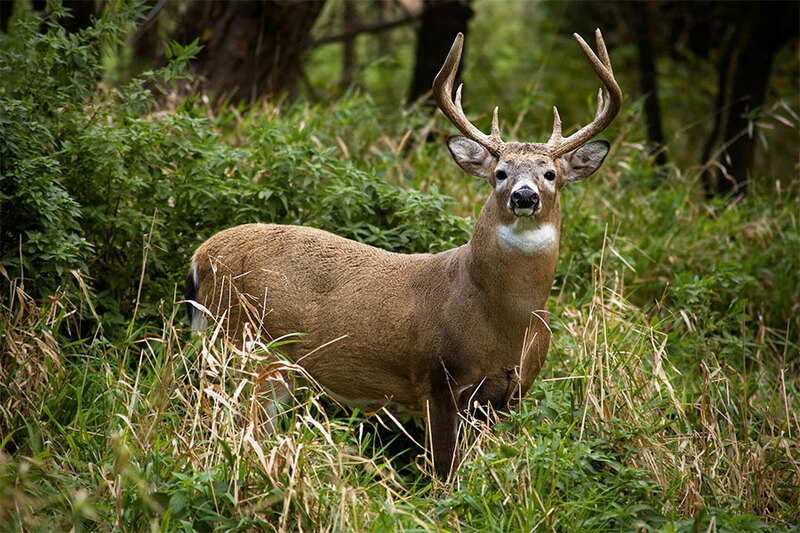 A buck’s antlers have two main beams, each of which forks into two beams. 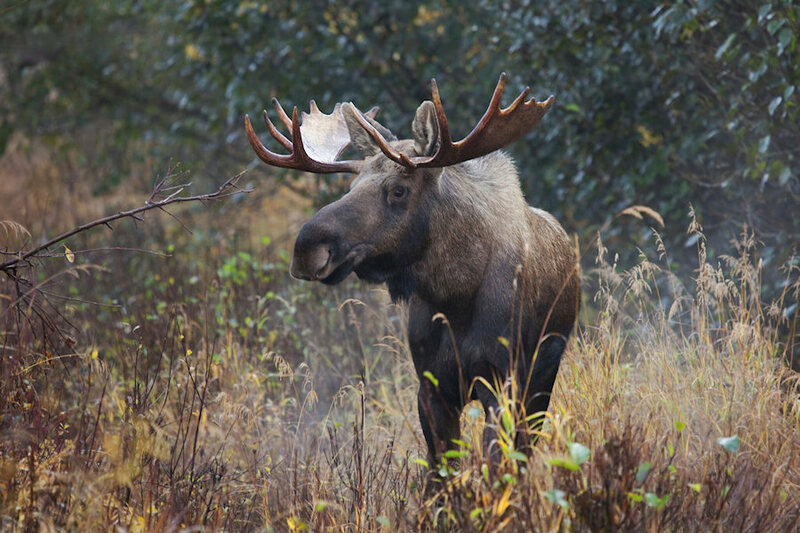 Shiras is the smallest subspecies of moose and can be found in the south east corner of British Columbia, Canada. 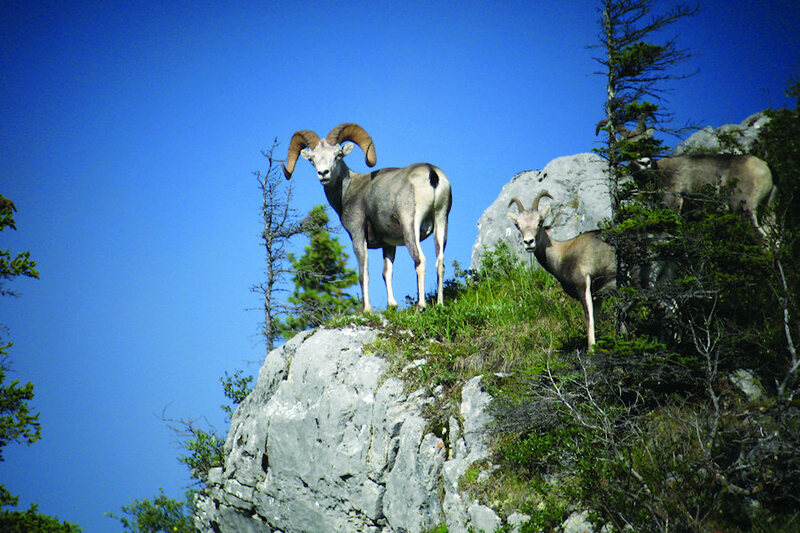 Stone’s sheep occur throughout northern BC and the Yukon. 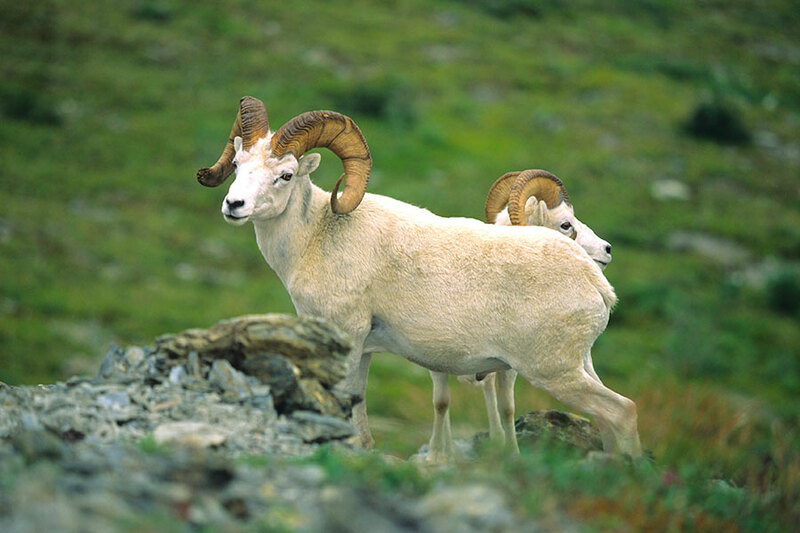 Where the two ranges meet in southern Yukon and parts of BC, interbreeding has resulted in the fannin sheep, which are classified as Stone’s sheep. 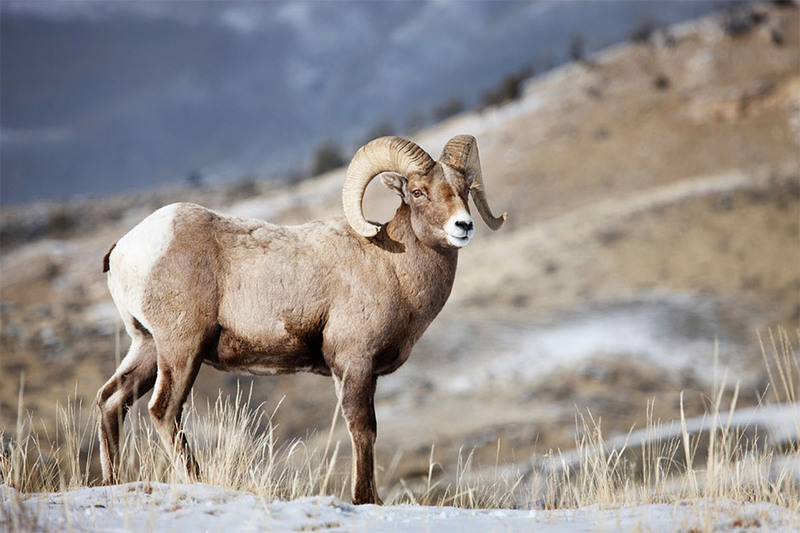 The cougar mainly preys on deer, but may also prey on bighorn sheep, mountain goats, elk, moose, beaver, porcupine, mice, rabbits and birds. 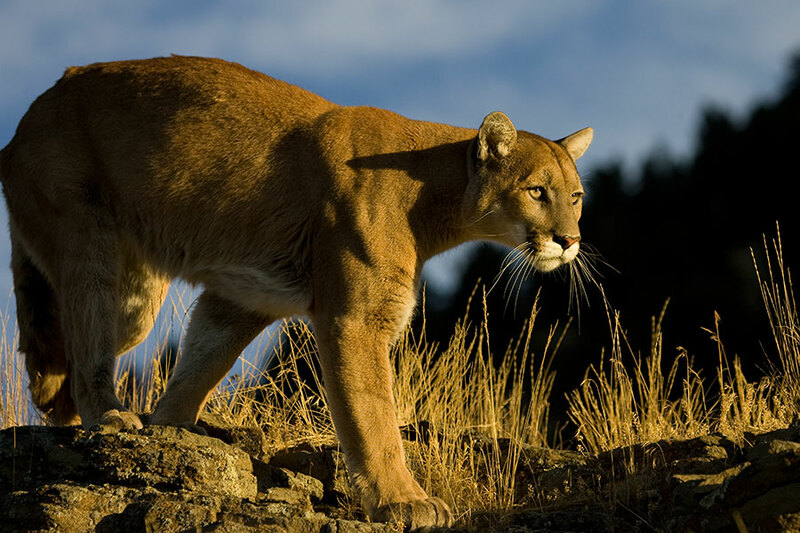 A cougar’s weight will vary from 70 to 109 lbs (32 to 86 kg). 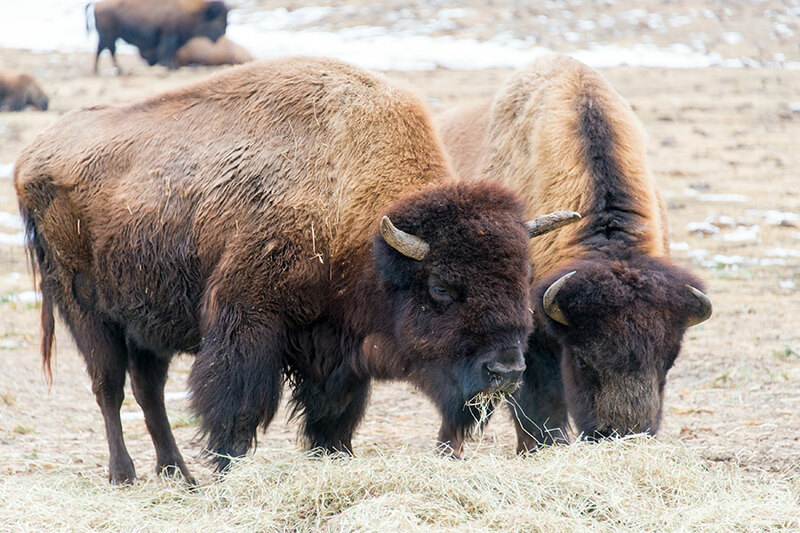 The North American bison, mistakenly called “buffalo” by the early settlers, evolved into two subspecies: the wood bison and the plains bison. 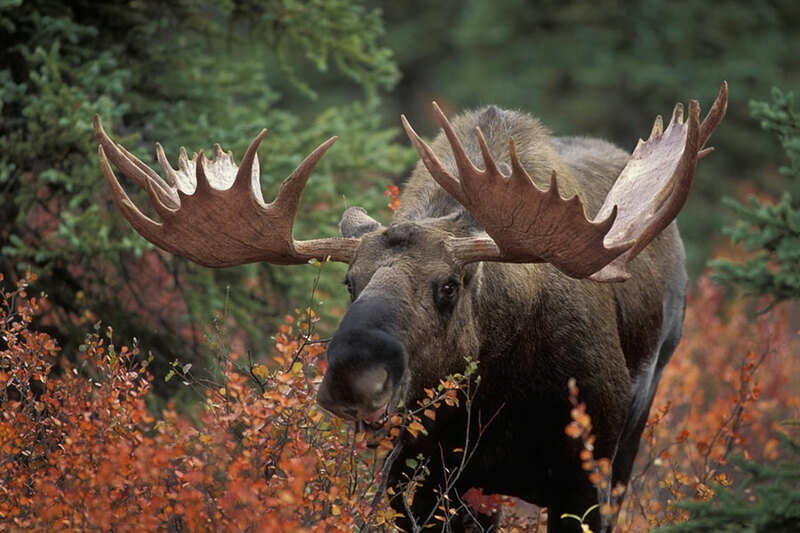 In North America, the Canada moose (Alces alces andersoni) subspecies is exceeded in size only by the Alaska Yukon subspecies. 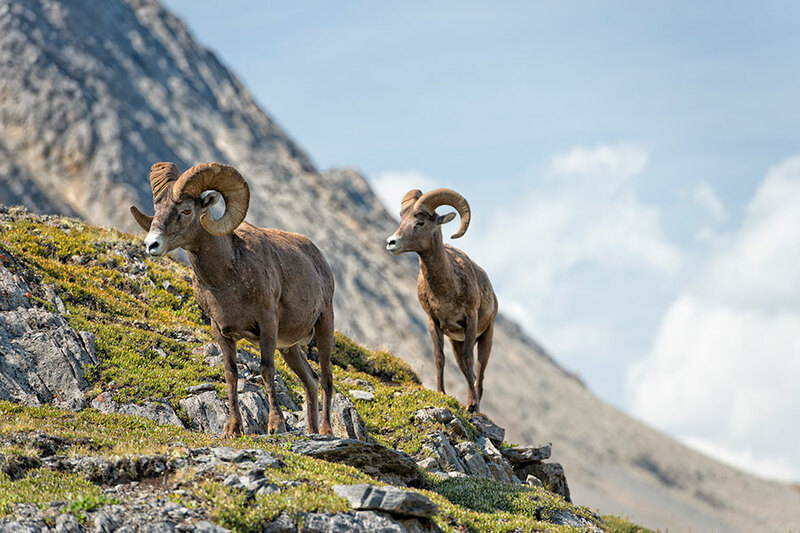 Rocky Mountain Bighorn sheep are more widely distributed throughout the United States than Canada and are noted for their ability to survive incredibly diverse conditions. 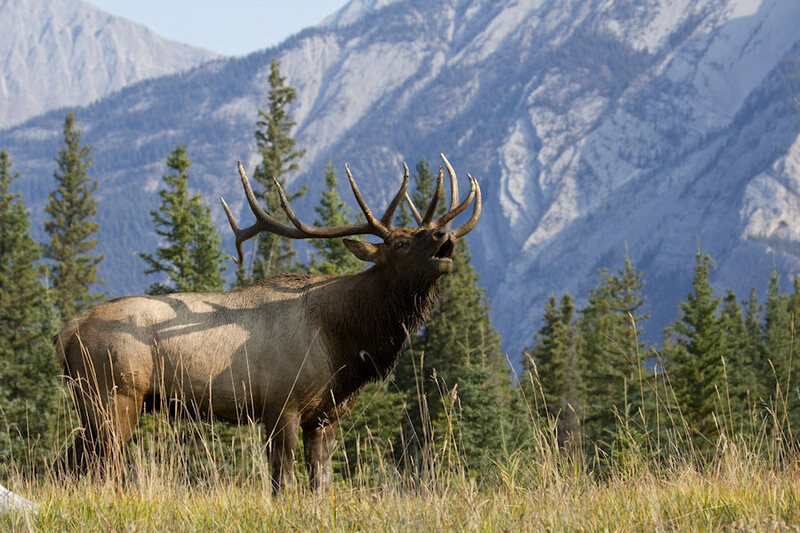 Elk have a golden brown coat during the summer and a longer, grayish brown coat during the winter. 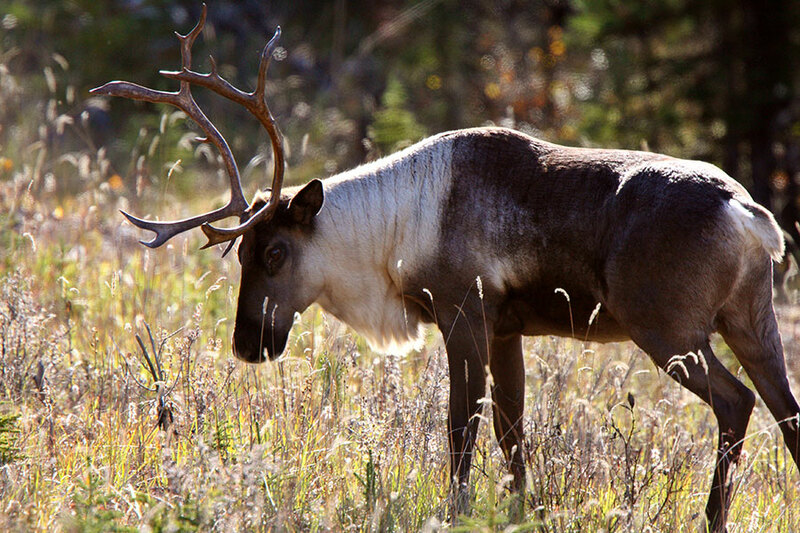 Their legs, head and neck remain dark brown year round.